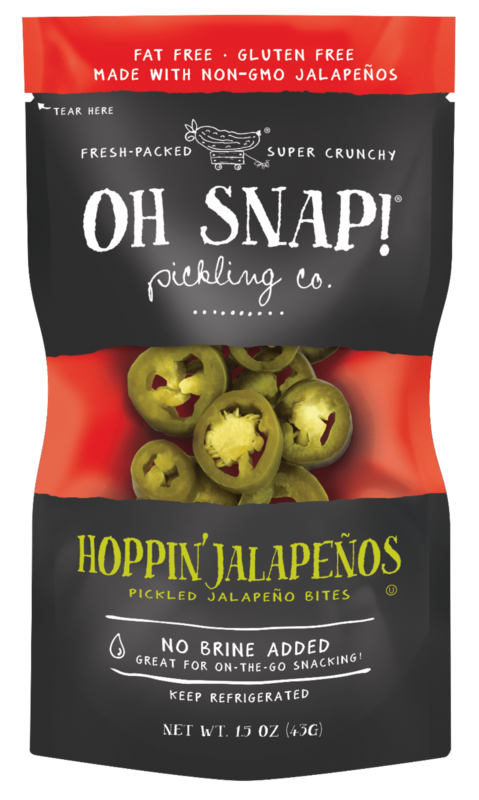 GLK Foods recently introduced its Hoppin’ Jalapenos pickled jalapeno bites to its line of OH SNAP! pickles and veggies snaps, which offer healthy, portable snacking options. Hoppin’ Jalapenos come in 1.5-ounce bags. The snacks come individually packaged and are freshly packed to ensure freshness. The snacks have no brine added, and are gluten-free, fat-free and made with non-GMO vegetables. The snacks have a 4-month shelf life and require refrigeration. Other snacks in the OH SNAP! Line include Dilly Bites, Gone Dilly, Hottie Bites, Hottie, Carrot Cuties, Cool Beans and Pretty Peas. The snacks are available to the vending and micro market trade along with other retail channels.